Avocado is a perfect choice to use in salads, sandwiches, or as a dip. Add this item to your breakfast or eat alone as a snack. 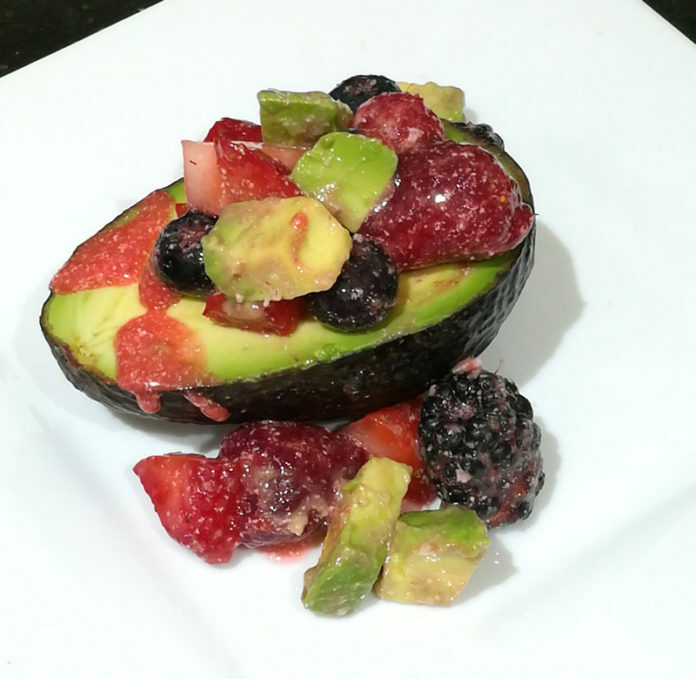 Known for its anti-inflammatory properties and heart healthy fat, here is a great avocado with strawberry sauce recipe to add to your menu this week. This is the perfect plant based dish that you can eat alone as a quick and easy breakfast. Check out this great video on the top 5 health benefits of eating avocado. Wow this looks so good! And it’s so easy! I’m def going to try it! Omg! This looks delish! I’ll have to make this over the holiday weekend! I wouldn’t have thought to use strawberries with avocado! I do love either one in my salad. That looks yummy, what an interesting combo. Never thought to mix Avacado and fruit. GENIUS!